Did you know you can do heat embossing on our Adhesive Sheets? I was experimenting to see what I could come up with and found that you can use embossing powder with them! 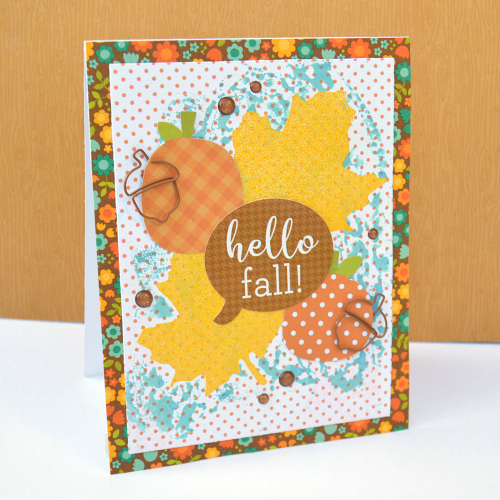 Let’s take a look at my fall themed card. 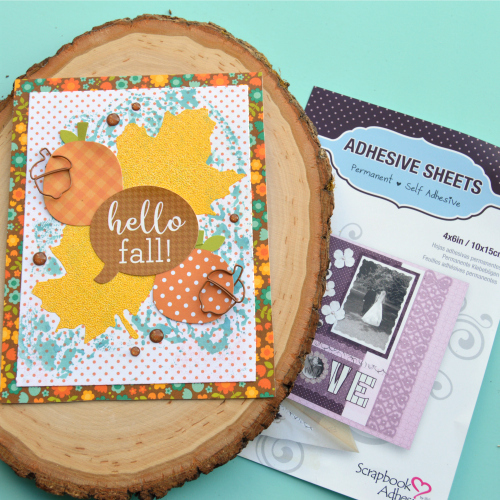 First of all, the process for creating this is about as easy as traditional heat embossing with a stamp pad. Consequently, heat embossing with Adhesive Sheets eliminates the need to have stamps or a stamp pad. You can use a punch, electronic cutting system, or just do a messy torn look for the shapes you heat emboss! Here’s a video with a quick walk thru of how I created the whole card. The Adhesive Sheets 4 x 6″ come with 10 sheets in a pack, just enough to play and experiment before you fully commit to the technique. They are double-sided sheets of adhesive, perfect for a variety of traditional and non-traditional applications. These adhesive sheets are also available in packs of 12 x 12″ and 6 x 12″ sizes. Finally, here’s a close up look at the leaves on the card – you can see the heat embossing with the Adhesive Sheets adds such interesting texture. Also I used ink to add some color around them. The embossing resisted the color well, it just needed a little wipe down. Thinking ahead to Christmas and snow season, these would make very pretty snowflakes! So who’s ready to try this heat emboss technique using adhesive sheets? Be sure to share with us if you do! 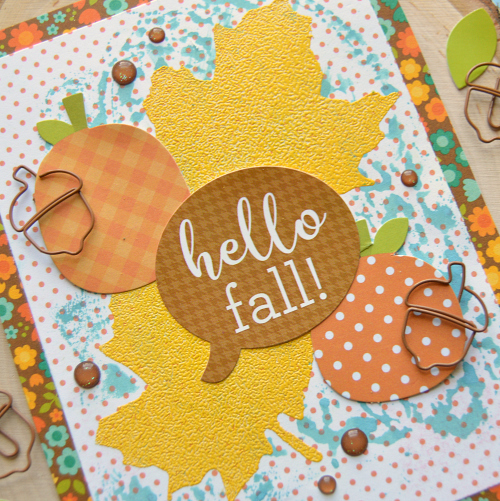 This entry was posted in Adhesive Sheets, Adhesives, Cards, Crafts & Tutorials, E-Z Runner® Grand, Fall, Seasonal Craft Ideas and tagged Adhesive Sheets 12x12" (25 sheets), Adhesive Sheets 12x12" (5 sheets), Adhesive Sheets 4x6", Adhesive Sheets 6x12", Card, Christine Meyer, Doodlebug Design, E-Z Runner Grand Dispenser, E-Z Runner Grand Permanent Strips Refill, Embossing Powder, Fall, Heat Embossing, Process Video, Ranger Ink, Tim Holtz, Tutorial, Video, Wear Your Adhesive on the Outside, Wendy Vecchi. Bookmark the permalink.